MetorNet 3 Pro Web collects statistics from the Metor® walk-through metal detectors with passenger and alarm counters. These statistics can be summarized, shared by email and printed in easy-to-read reports. You can use either standard reporting templates or create and save your own reporting shortcuts for reports most commonly used. The monitoring view in MetorNet 3 Pro Web allows you to see the traffic and alarm levels of the Metors connected into network. The view gives you a quick overall look of lines with high traffic, helping you to allocate your resources better. Whenever there is a deviation from the original settings stored in the PC, the operator receives a written message in MetorNet 3 Pro Web. This feature quickly indicates any misuse or malfunctions of the gate and increases the overall security level. Because MetorNet 3 Pro Web utilizes existing Ethernet cabling at the customer’s premises, adding new Rapiscan® Systems Metor® metal detectors to the MetorNet 3 Pro Web network is very easy and cost effective. 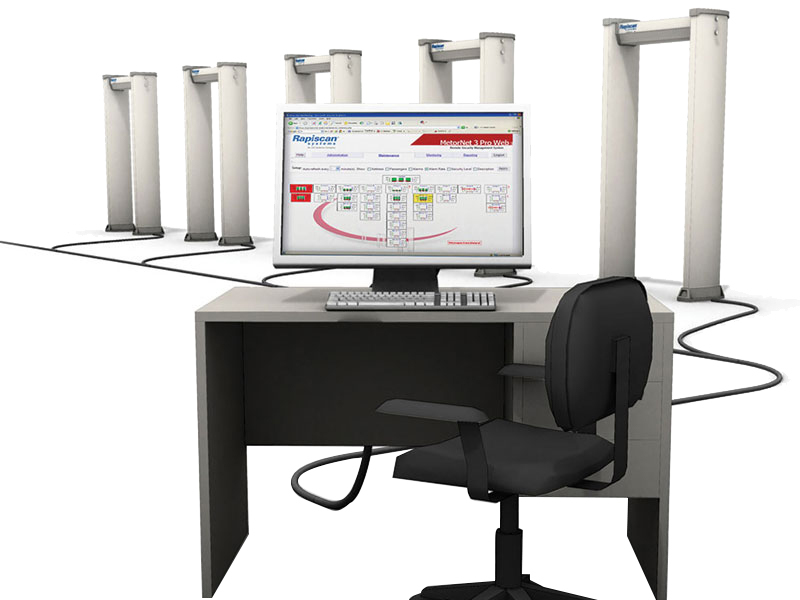 Up to 100 metal detectors can be connected to a single Metornet 3 Pro Web server. The gates can be grouped and identified individually and/or by group name. MetorNet 3 Pro Web does not require any hard duty servers to run but a normal PC can be used as a MetorNet server. MetorNet Web user interface operates over a standard web browser. The MetorNet 3 Pro Web user interface can be viewed from remote locations over Extranet or public Internet (requires VPN tunnel). The user rights can be freely configured by the admin. Each user can have an individual password to prevent unauthorized access.